The Blog has moved. The Shepherd Press Blog has been moved to a new location: Shepherdpress.com/blog. This new home for the blog should offer increased functionality and ease of navigation around the site. There may well be some unexpected adjustments needed. Let me know if you have any problems. All of the previous posts and comments are now available at the blog’s new home. Please update your links if you subscribe to the blog. In a recent post I described a stressed mom talking to her son, Joshua. This mother was correcting Joshua for complaining. and it was essential that his mom give him both correction and direction. Let's take another look at that example and consider in detail how a mom could respond more helpfully. Joshua, you know the Bible says in Philippians 2 that you must not complain about doing what Mommy asks you to do. Now, stop your complaining and get to work. Remember, children should obey their parents. I don’t want to hear any more complaining! Is that clear? Confident that she has firmly and biblically addressed the matter, Mom heads on to the next thing. From the comments the blog received about this post, it is clear that readers want to know how to talk to Joshua in a way that will correct the complaining effectively, but at the same time, encourage him. Based upon the words used above, it is safe to assume that the “word of God” is not bringing much light to Joshua’s eyes. Why is there a disconnect? How do you, as a parent, help your child make the connection successfully? First, let’s take a big step back and gain some perspective. Is Joshua’s presence in the family the product of a random series of events? The answer is no, obviously, this family is not the result of random occurrences. He is here, in this particular home, because that is what God planned and accomplished. Ephesians 6:4 commands that this boy be raised in the fear and admonition of the Lord. So there is nothing random about following God’s direction. 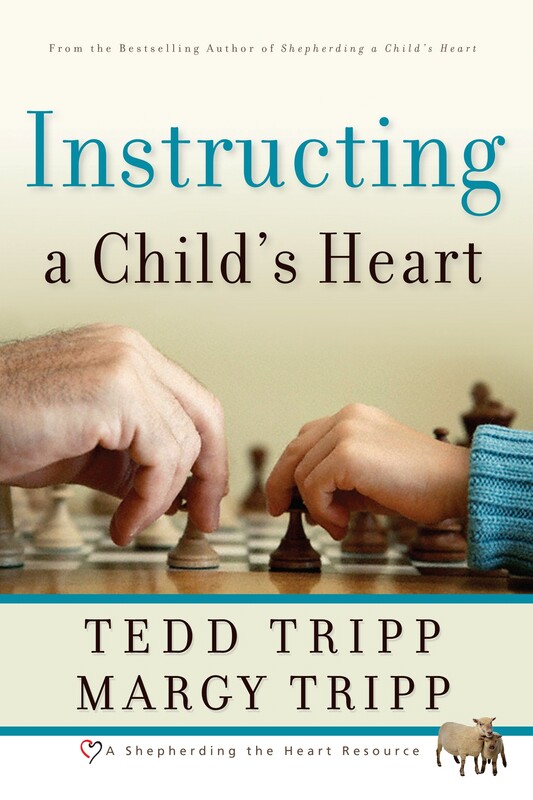 However, even in homes with the best of intentions and biblical resources, powerful forces conspire against parents and children to make following God’s direction anything but easy. Sin blinds judgment and corrupts the flesh. The world is cursed and at war with the Christian home. Life is difficult and challenging. It is demanding and draining. But, you see, God has determined that he will use the challenges of raising children to drive parents to Christ. Because it is not easy we are forced to turn to Christ, the good Shepherd. What a blessing for us! Once this perspective has been gained (or regained), it is vital to realize that God has given us everything needed for life and godliness in his precious Word. You need God’s Word. It is designed and inspired by God and illumined by his Spirit to precisely meet the need in every situation. But that is not the same as learning formulas to simply plug into behavioral problems as they occur. The Bible is first of all about relationship. So, as you have heard and known, simply changing behavior is not the focus; building a heart relationship with Jesus Christ is the focus. This is true for both parent and child. You do not want to bring your children to where you are; you want to take them to where you are going—the cross! Okay, back to world of Joshua, complaints, schedules and struggles. What I am about to say may seem idealistic. I assure you, it is not. It is possible. I have seen this in my own life and in the lives of parents I have had the privilege of knowing for the last 30 years. Josh, come over here and sit down with me for a minute. You've been having kind of a tough time lately, haven’t you? Having to pick up for company tonight seems just like one more hard, boring thing to do, doesn't it? Josh, somewhat taken aback, but glad to be understood, nods his head tentatively. I have been talking with Dad, and we noticed that you have been kind of down since your friend David’s family moved away. Has that been kind of hard for you? Again Josh nods his head, and his eyes are just a bit moist. Oh, Josh, I know it's really hard to have your best friend move away. I know you miss him, and it makes you sad. Lots of sad things happen in this fallen, sinful world. But you know who else knows it's hard? That’s right, God knows. When Jesus became a man, he left his own home—heaven—so he could be here to help us. That must have been really hard for him, but he did it because he wanted to fix the whole problem of sin. And then, he had friends here, but they weren't always very good friends to him. They let him down a lot of the time. Jesus was probably tempted to feel lonely a lot of times. So he knows, and he wants you to trust him. He will bring another friend for you at the right time. Did God know that David’s family would move? That’s right, he planned it that way! So right now, God wants you to be friends with your family, and even more, with God himself. God wants you to trust Jesus to be your friend. We can talk more about that later, but for now, let me read a couple of Bible verses to you. Do all things without grumbling or questioning, that you may be blameless and innocent, children of God without blemish in the midst of a crooked and twisted generation, among whom you shine as lights in the world, 16holding fast to the word of life, …. I think that Dad is going to talk about these verses in family worship tonight. But I thought I would give you a head start thinking about them. God doesn't want you to complain or grumble even when—or especially when—things are difficult. God wants you to know him and his Word so that you will be comforted when things are hard. Lots of difficult things will happen to you in this life, and having David move is one of them. But God wants you to know that he is able to help you now. Remember, God planned for David to move. Now, does God do bad things? No, you know he doesn’t. Even when it seems bad, like this, you can trust that it's not bad, even though it's really hard. God has something special for you to learn right now, to help you be more grown up. One important lesson of growing up is that we have to keep doing our responsibilities even when things are hard and we don't want to do them. God wants you to be so different from the world around you, different from people who don't love God, that you are actually kind of like a light. No, silly, I'm not talking about putting a light on your head! I'm talking about your attitude—about being thankful that God is taking caring of you—so that you are like a bright light of joy and contentment, even when things are hard, like now. Now, about picking things up in here. Is it helpful to complain about doing this? I know you don’t feel like doing it. It's okay to be sad about David moving, but it's not okay to complain. Complaining is really saying that you don't want to accept what God decided, isn’t it? You want what YOU want, and you're kind of angry that you can't have David here. Is that a good attitude? No, we should accept what God does and trust that his way is always best. So how does God want you to respond now? Right, he wants you to respond with a willing attitude, and to be happy that you can help mom get ready for tonight. What you are really doing is putting God first before your feelings, and THAT is a big deal! Come on, let’s pray for God's help, and then get started. This mother is taking time to understand her son. (In the actual event, there would probably be more back-and-forth interaction, and the conversation might take quite a bit longer; good parenting requires a major time investment!) I realize that every situation of discipline may not have this much background, but always remember—missing issues that are causing pain or unsettledness in our children will lead to more difficult times. And, always having the "right" rebuke will provoke anger if the instruction is not given with kindness and compassion. You know the command, "Love your neighbor as yourself." Before you deliver correction to your child, pause to ask yourself what words and attitude would most effectively encourage you to please God, if you were in your child's place. Take some time to think about this exchange and how Josh’s mom handled it this time. Ask some questions. We will get back to this in the next post. The news is filled with outrage about bonuses paid to employees of the government-bailed -out insurance giant AIG. Every day we hear cries of unfairness, greed and shock. Even the President has said that he is stunned by these bonuses. We seem to be caught in an unending series of outrageous events. Have you noticed the underlying conviction that is driving the outrage? This conviction has to do with fairness and what we deserve. We don’t deserve to have out of control spending and increased taxes. We don’t deserve to have business executives who are greedy. We don’t deserve to have government leaders who are incompetent. We don’t deserve to have a bad economy and its resulting complications. And the list goes on and on. How should Christians respond to all of this? We can certainly agree that things are economically challenging. We can agree that political leadership has been less than exemplary. We can agree that the housing markets have fallen. But do we really agree that all of this is not fair and that we deserve better? The solutions offered all appear to lie in the arena of government doing more or less. Some political persuasions want the government to be more involved. Others want the government to be less involved. But all seem to agree that things are not fair – we don't deserve this. The economic problems that we face are the result of a people who functionally believe that God is not necessary anymore. Listen to the words of our political and business leaders. I have yet to hear any government leader or political pundit call for a national day of prayer and repentance as an appropriate response to the difficulties we now face. Repentance? What does repentance have to do with any of this? Notice carefully the thinking of the rich fool. He believes that his hard work has produced a rich harvest—one that will produce a life of ease for years to come. It is what he deserves. Perhaps he even plans to share some of his wealth with family and friends. The life that he deserves, the good life, is now within his grasp. But how does God respond? God is concerned with building riches that go beyond the material. The rich fool reasoned that he was deserving of his good fortune. Sadly, this man's attitude is not unlike the attitude of our own culture. We believe the good life is for us. It is our right to take life easy, to eat, drink and be merry. The rich fool, like many today, thinks of only what he deserves. However, do we want to join the mood of the world around us and start asking God to give us what we deserve? I think not. That is why I mentioned repentance. Collectively, our country has not been rich toward God. We have become preoccupied with the good life. But when we consider the holiness of God, crying out in repentance is in order, rather than clamoring for what we deserve. If Christians are to be salt and light, then we must distance ourselves from the demands for fairness and the insistence on what is due us. What we deserve is hell—but we have been the recipients of the mercy and grace of God lavished upon us (Ephesians 1:8). Parents, these uncertain financial and political times provide an opportunity to show your children what true riches are. Do you delight in being rich towards God? The world says that responsibility is following the formula of the rich fool: work hard, get a good return, and take life easy. God says in Luke 12 that life is about more than this. Life is about building true riches, riches that are certain and will not take wings and vanish. What is fair? When you consider what is really fair, what you really deserve, you must immediately think of repentance, not gains in the stock market. Let us rejoice in the mercy of Christ that gives to us what we do not deserve. The next post will return to the current series about the word of God being a light to your eyes. This post also appears in the Shepherd Press Newsletter. Signing up for the newsletter is easy, you can do it here. The newsletter keeps you up to date with the latest news from Shepherd Press. John begins his gospel with two striking descriptions of Jesus. John says Jesus is the word and then he says Jesus is the light of men. This interwoven imagery describing Christ as Word and Light permeates the Bible. This imagery of Word and Light is unique to the Bible. Moses says over and over to the Israelites that the Word of God is life itself. The psalms frequently refer to the Word as light ("Your word is a lamp to my feet and a light for my path," Psalm 119:105). In Psalm 19:8, the Holy Spirit was not just employing nice sounding metaphors: "The commands of the LORD are radiant, giving light to the eyes." He was anticipating the person of Jesus Christ. Yes, the law of God itself is precious, but remember that the Holy Spirit had already chosen the words of John when he had David pen the words in Psalm 19. The wonder of this Psalm would be fully known only through Jesus Christ, the Word and the Light. All the Scriptures speak of Christ. This same dependence upon Jesus through his Word must characterize you as a parent. Anyone can communicate a set of principles and moral values, but only a Christian parent can bring the true power of Scripture to bear in daily conversations. And his commands are not burdensome; the daily repetition of biblical truth should not be a boring, grating irritation to our children. Like a sunny spring day that renews your spirit—only much more so—the commands of God bring joy to your heart and light to your eyes. In the last two posts, I have asked you to think carefully about what the word of God means to you. Considering Psalm 19:8 and John 1 together, we see the uniqueness of the Bible. These words not only speak about God, but the words bring the life of God to his children. That is why Hebrews 4:12 says the word of God is living and active. Parenting is a draining, demanding responsibility. If you use Scripture for the purpose of controlling your children’s behavior, you will miss the point. Scripture used in this way will only leave you feeling more drained. Confrontation with Scripture is a confrontation with God. So, even in discipline, the joy and light of the Bible should dominate your thoughts and attitudes. You are bringing the person of Jesus Christ into the lives of your children. As it brought joy to shepherds to bring their sheep back to the flocks, it should be a joy to you to call your children to Christ as you give them his word. Here is an example of what I mean. Joshua, you know the Bible says in Philippians 2 that you must not complain about doing what Mommy asks you to do. Now, stop your complaining and get to work. Remember, children should obey their parents. I don’t want to hear any more complaining. Is that clear? Now, has this mother used the Bible to instruct her son? Yes and no. She has used things taught in the Bible, but she has used these truths in the rote fashion that Isaiah 29:13 warns against. She is right to address Joshua’s complaining spirit. But her goal should be to see the life changing truths of Scripture bring joy to Joshua. By obeying God, Joshua can know the joy of doing what Jesus did, the joy of bringing honor to his heavenly Father. By obeying his mom from his heart, he is doing something of great significance. He has the opportunity to participate in the kingdom business of Jesus Christ. You see, this is about much more than having Joshua doing his work in a way that is annoying his mother. That is what Philippians 2:14-16 is really teaching. There is much more to this passage than just stopping grumbling. The apostle Paul says that by having an eager spirit of obedience, rather than a complaining, questioning spirit, you can shine as light in a dark, perverse world. Wow! In contrast, Joshua’s mom was just trying to stop an unpleasant attitude. So she responded with negative direction. Yes, she referenced Scripture. But she was not embracing its power, which brings light to the eyes and joy to the heart. Parents, you have a wonderful calling – to bring the Word of life to your children. We will talk more about this in upcoming posts. In the meantime, let me know your thoughts. How important is the Bible to you? I don’t mean how important would you like it to be to you or to your children. What I mean is—how important is the Bible to you and the way you live? You want your children to follow the ways of Scripture. You want them to know its content. You want them to know its Author. You know that what the Holy Spirit has written in his Word is essential for life. But allow me to ask again, how important is the Bible to you? Is there a chance that you love what the Bible will do for you, but you struggle with actually loving it? "Okay," someone is asking, "where are you going with this? Of course I love the Bible; it is the most important book I own." You see, the real test of the Bible's importance to you is this—how alive is the Scripture to you? Hebrews 4:12 describes the Bible as being living and active. Is this merely a fact you teach your kids? Or does this phrase in Hebrews speak of you? Do you read the Bible simply to increase your knowledge—or to be spiritually fed and enlivened as you read? Surely, you want more than rote knowledge to be the basis of your children’s worship. But for it to be more than rote for your kids, it must be more than rote for you. It must be alive to you. What is it that gives light to your eyes and brings joy to your heart? This is a significant question, a question whose answer is at once disarming and revealing, if honestly asked and answered. There is no more powerful gift you can give to your children than for the Word of God to bring light to your own eyes. Think about your relationship to God’s Word. How important is it to you? Does it bring light to your eyes as nothing else can? Truly, Jesus is the Light of the World. Continue to think about the words of the Psalmist – do they describe you? What is the reaction that the Word of God brings in the everyday life of your family? Is it like this one in Psalm 19? Give this careful thought. We will take a probing look at this in the next post.